East China Sea Dispute = End of East Asian Miracle? Could a financial shock lead the way to a peaceful solution? Uninhabited islets of the East China Sea have pushed Japan and China to the brink of outright conflict. With Tokyo & Beijing at loggerheads over their hierarchy status, a market shock could bring both to their senses. Many believe Beijing can afford to antagonize Tokyo, now that it has the upper hand in the economic hierarchy. The East China Sea dispute is not about resource access, but rather a broader struggle over regional leadership. The future of East Asia lies in building further on its economic success, and not in territorial expansion. They are tiny, uninhabited and seemingly insignificant territories. Yet the islets of the East China Sea have pushed Japan and China the closest to the brink of outright conflict since World War II ended. 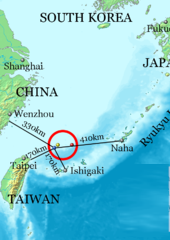 Neither Tokyo nor Beijing has shown any signs of backing down on their claims to the Senkaku/Diaoyu islands. What’s more, as Washington gets pulled ever more into taking sides in the dispute, the stakes are getting even higher for the situation to explode. And yet, for investors on both sides of the sea, business goes on more or less as usual. In fact, from a financial market perspective, business is going very well indeed. Despite heated concerns about a possible war breaking out with its giant neighbor, Japan’s benchmark Nikkei-225 index is actually booming, surging over 45% from a year ago. Meanwhile, Hong Kong’s Hang Seng index is up 8% on year, while the Shanghai Shenzhen CSI 300 index is about 14% higher and South Korea’s KOPSI index is up 3%. Clearly, geopolitics has had little impact on East Asian markets to date. But as Tokyo and Beijing remain at loggerheads over their status in the East Asian hierarchy, a market shock may be the quickest way for the two sides to come to their senses and see that they have far more in common, with burning issues to deal with, than they are currently prepared to admit. Of course, Sino-Japanese tensions have already hurt the bottom line. In September 2012, when Chinese protests against Japan’s claims to the islands were at their height, thousands of protesters demonstrated outside the Japanese embassy in Beijing. Japanese manufacturers and businesses across China were hard hit by mass sabotage and looting, which were orchestrated in part by the Chinese government. Japanese carriers cut back on flights to China as the number of travelers to the country plunged. As China surpassed Japan to become the world’s second-largest economy in 2011, many believe Beijing can afford to antagonize Tokyo, now that it has the upper hand in the economic hierarchy. After all, China has also surpassed the United States as Japan’s single biggest trading partner. That logic, however, fails to stand up in the longer run. China may be the single biggest power in the Asia-Pacific, but its future success lies in a stable, prosperous region at large. Nearly two decades have passed since the World Bank released its report, The East Asian Miracle, highlighting the success of the region in achieving phenomenal economic growth between 1965 and 1990. Granted, the growth trajectory has faced numerous challenges in the years since. But there is no doubt that the region has succeeded in spreading the wealth and bolstering living standards across the board. Moreover, some of the attributes that have been singled out as traits for economic success – including high educational standards – remain unshaken. East Asian nations continue to dominate global education rankings. Such success, however, has been based in part on the fact that East Asian nations have been united in putting their economic goals first. But as China, South Korea and Japan scramble to become the first among equals in the regional hierarchy, asserting national identity and airing historical grievances are pushing aside their obvious mutual interests of ensuring continued prosperity. After all, the dispute over the East China Sea territories is not really about access to natural resources, but rather it represents a broader struggle over leadership in the region. That, however, is a dangerous game to play and may well jeopardize all the success that the region has achieved over the decades. Inability to reach a peaceful solution over the disputed territories, or at least allow the conflict die down, runs the risk of capital flight. For now, market expectations are that diplomatic tensions will not impact trade. Still, a plunge in share prices and a precipitous drop in trade may well be the wake-up call that Japan and China need to be able to resume talks at the leadership level. Certainly, it would commit the powerful business sector on both sides to urge Japanese Prime Minister Shinzo Abe and Chinese Premier Xi Jinping to compromise in order to help the bottom line. Bitterness towards past wrongs and seeking redemption for wounded national pride should not be defining diplomatic relations. The future of East Asia lies in building further on its economic success and not in territorial expansion.